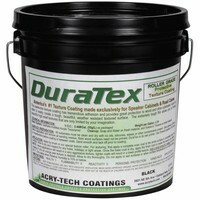 DuraTex is the #1 speaker cabinet coating, designed to beautify and protect wood speaker cabinets and road cases. Super-easy to apply, DuraTex adheres tremendously to wood and other substrates. 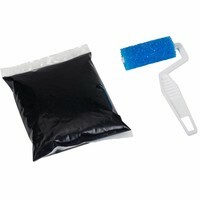 The self-priming formulation eliminates the need for a multi-step finish. 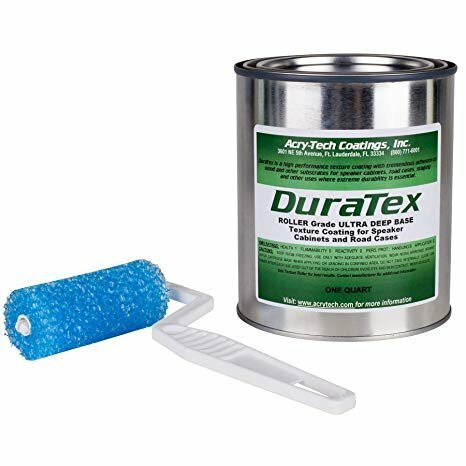 Simply roll or brush it onto your speaker cabinets or road cases, and DuraTex's water-based, non-toxic, proprietary blend of high-tech polymers and low volatile organic compounds quickly dries to the touch within three hours (completely curing in about seven days), creating a tough, water-resistant finish. 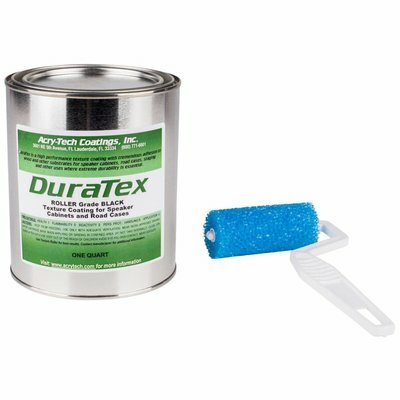 Adding multiple coats of DuraTex to a cabinet or case increases the strength and weather-resistance of the surfaces. DuraTex is also easy to clean and maintain, the finish looks brand new even after years of abuse! This 1kg-sized kit of DuraTex is enough to cover and treat around 2 square meter of total surface area, about two 60 x 30 x 45 cm cabinets. 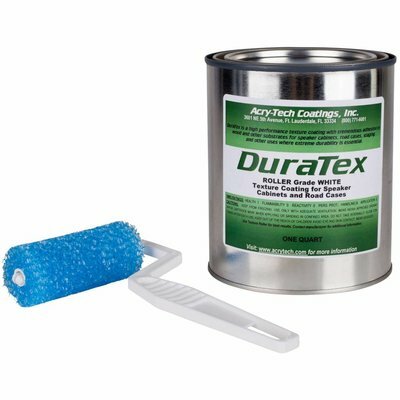 Also included is a unique, 3" wide textured roller (with handle) for creating a raised, truck bed liner-style finish. 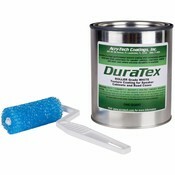 Apply roller grade by brush or roller to evenly coat the surface. A heavy first coat followed by a lighter second coat will give a milder texture. A heavy second coat will produce a more aggressive texture. Adding a small amount of water to the product will reduce the texture profile and can provide more of an orange peel texture. Perfetta! Mi serve un altro barattolo!